Space is tight in the current industrial market. Through the second quarter of 2014, the market posted an overall vacancy rate of just 3.3 percent. At this time last year, the market had a vacancy rate around 5.3 percent. With a total industrial market of 68 million square feet, this means available space for rent is 1.4-million-square-feet less than just one year ago. That is remarkable, considering very little new inventory was added to the market. The market is now reacting and we are starting to see an increase in supply. For the first time in a significant period of time, we see speculative construction. Lavigne Enterprises is building a 90,000-square-foot warehouse near 132nd and Lyman Boulevard in Hilltop Industrial Park. KVI is also building a 43,919-square-foot flex building at 108th and Portal Road. Several other industrial buildings are being discussed and planned. In addition to speculative construction, a fair number of build-to-suit or owner-user industrial projects are underway. Sergeant’s Pet Care Products is currently constructing a 350,000-square-foot warehouse facility at 126th and Giles. Additionally, Republic National is building a larger than 200,000-square-foot facility at 117th and Portal Road. There are other owner-user projects in the planning stages of the building pipeline. Strong leasing activity has been a theme in the industrial market over the past several quarters. It will be interesting to see if new construction will continue in the industrial market, and if we see some upward movement in rents. 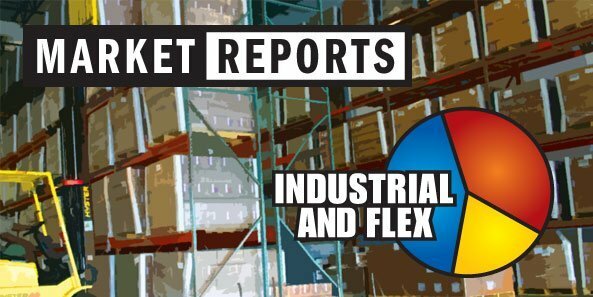 On a national level, 70 percent of brokers surveyed by CCIM saw more Industrial sales and leasing activity this year than they did at the same time last year.